Every day, Miriam fed her fish, dusted off the glass cases of her tragic geishas, and cursed, with much gentility, her destiny as a South American. Her big brother’s explanations didn’t help much. As Kazuo so often reminded her, the Ryukyu Kingdom had little to do with Japanese traditions, and the people of Okinawa ever fled their island. Okinawa had to be the one place in the world with a commemorative statue of the Father of Immigration: Kyuzo Toyama, the hero who arranged the flight of the first Okinawan-Hawaiian citizens in 1899. For Kazuo, the argument reinforced a historical truth: their ancestors were in fact the first settlers of the Americas and, according to him, merely completing their millennia-long task. The Indian-American was practically Japanese; if Kazuo had any talent, he would draw a manga of the second wave of continental population, destined to perfect a race of supermen through dry-cleaning and karate. But the eighties had only just begun, and the mangas still weren’t coming, so Kazuo entertained himself with an Atari 2000, assembled cars in his garage, played football fairly well, and would turn out to be one of the best military conscripts in his class. He made fun of Miriam, reminding her that their mother hadn’t even been born in Japan and that every Sunday they ate asado and salad just like all their other neighbors. At first, she was heartbroken (their eight-year age difference had to show somewhere). But she was even more depressed to be the only one in the family without a Japanese name. I tried to console her, telling her the Hebrew name of the Virgin sounded super Oriental. It would have been way worse to be a Laura or a Carolina, names that repeated like an echo through our school. I’m not sure this argument helped her any. Shortly after that, she gave up eating meat. At the age of ten, she was already a militant vegetarian with beautiful penmanship and she spoke Japanese better than anyone in the family, with the exception of her paternal grandmother. Every day she told me the same story. We lay on our backs along the train tracks behind the station and Miriam told me about the Virgins’ Cave. Even though I knew the tale by heart, I liked to hear her tell it while she took apart her braids and the gentle wind unfurled her long, black hair. Almost every little girl wanted hair like that—waist-long, thick and hardy—with which to fashion an infinity of buns and exotic dos. Almost every little girl hated Miriam, called her Chinese or Korean, but secretly envied her—her pencil cases with the little drawings of chrysanthemums, her watercolors, her manifest Otherness. Miriam smiled, indifferent. I, on the other hand, had turned my envy into fascination and buried myself in the grass in front of the Amuro house to listen to her stories of the war, unable to take my eyes off of her perfect mouth. When it seemed like she might veer into the horrors of the Battle of Okinawa (unfairly overshadowed by Hiroshima, and which Miriam knew well from her grandmother’s account), I would steer her back into the Virgins’ Cave. That’s what the maps and tourist brochures call the place where the girls from the Okinawa Daiichi Women’s High School died, the girls who, with their teachers, made up the Himeyuri students nursing corps during the war. Once it became obvious the battle would end in Japanese defeat, the girls retreated to their mountain cave and killed themselves. According to the history books, most of them flung themselves off nearby cliffs into the sea. But Miriam swore they took their lives according to the traditional Japanese ritual of jigai. When the American soldiers entered the cave, they found two hundred and twenty-two corpses dressed in white, with torsos leaning delicately forward, ankles tied, and a tiny dagger stuck into each throat. I adored these details and spent hours interrogating Miriam about Japanese patriotic fervor and their choreography of death. Behind us, leaning up against a tree by the tracks, Oscar watched us with his cow eyes. He was the slow kid on the block, and followed us everywhere we went. Once in a while, we threw rocks at him to make him go away, but he never moved. He only smiled his crooked smile and clapped, as if he too were witnessing the spectacle of dead girls dressed in white. Oscar was another one of Miriam’s unconditional admirers. He was a boy of indefinite age, the gardener’s son. His eyes protruded and he walked a little stooped. I was afraid of him, or disgusted, but Miriam said he was like a little animal whose spirit was trapped and couldn’t communicate with the world. When we passed his house, we heard him whoop with joy, his face against the glass. Miriam ignored him or gave him candies, depending on her mood. Sometimes she would stop and stare at him, as if she were conjuring some spell or had the power to control him. Then Oscar shook and swayed from side to side, hurling little squeals at us until she glanced away and went back to the story of October, 1944, when the whole country was covered in red maple leaves and there were no festivals because it was the tenth month of the year. For the color of the trees, it was surely Okinawa’s most beautiful season, the same season as the air strike, the sinking of boats full of refugees and children, and the fires that finished off the past. Eventually, I brought her back around to my favorite story, which she told each time without complaining. Though we could never prove the maidenhood of the protagonists for certain, it was clear that, for Miriam, the only thing that mattered, more than honor or patriotism, was that the girls had died wholesome and unhurt, forever unsullied by contact with Americans. When the Amuro family got the notice that Kazuo would be deployed to the Falklands, Miriam was the only happy one. She learned the songs the military government had composed for the occasion—by heart, and became the model Social Studies student. She could describe and debate every single up and down of Argentine history in the islands: from the British usurpation in the age of Rosas to the useless gesture of a handful of fanatics in the 1960s. When Kazuo left for the islands, Miriam gave him one of her barrettes, wrapped in tissue paper. 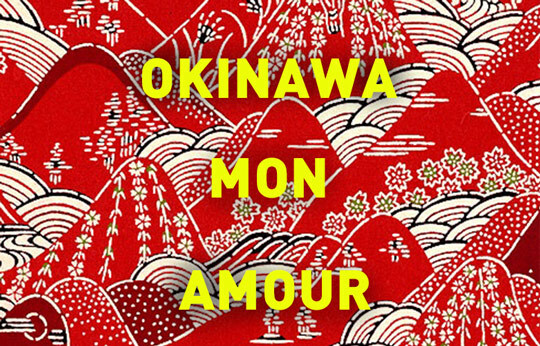 She told me that women, in the religion of Okinawa, had always been more important than the men. They were the ones in touch with all the nature spirits; thus the original Ryukyuan faith conceived of an entire hierarchy of priestesses in which the men were merely servants or assistants. They also believed a sister’s spirit had the power to protect (or curse) her naturally weaker brother. It was every sister’s duty to keep watch over the life-force of her brother. An onamori could serve as the conduit for this protection at a distance and, therefore, any token she gave Kazuo would be his talisman against British bullets. Being the only girl at school with a soldier brother, Miriam gained instant fame. The teachers looked at her more tenderly, tickled by her attack of Argentineness, and cooked up elaborate excuses for her usual silent inattention, which they now viewed as secret sorrow for her absent brother. The other little girls began to take her seriously. During recess, they gathered around as Miriam told them about Kazuo’s letters, in which he complained of cold and tedium and said more about River and the matches they had lost than of the war. On our embankment, stories of ghosts and shoguns or the horrors of the Pacific War were replaced with magazine diagrams of Argentine troops, fundraising drives, and interviews with soldiers and officials. Miriam could recite strategic movements of the Falklands land and naval offensive. I found this change disheartening and, however I tried to get back to the virgins or magic kimonos, it never lasted. The conversation always went back to the South Atlantic. We saw each other less and less. At recess, I left her with her court of new admirers and stuck to reading. I started making excuses to go home right after school: piano lessons, my cousin’s friends, the indoor ice-skating rink. The truth is, I wasn’t with her that day and I’m not sure exactly what occurred. Maybe she woke later than usual and didn’t have time to do up her bun (which held with just one pin) or the braids that she would later coil above her ears. Maybe she just fancied a new hairdo. Or simply decided that the day had come to go to school with her hair down. I remember we had gym class and our teacher was mad because her hair was hampering her movements. Miriam left the volleyball on the sidelines and refused to keep up with the game. Another girl took her place. Otherwise, it was a day like any other. Miriam left school at the same time she always did, but arrived at her corner a little faster because, this time, she didn’t stop at the embankment. When she got to the narrow sidewalk by the tracks, she felt the labored breath of Oscar at her back. She hardly had time to turn around. Oscar grabbed her by the hair with so much force he threw her to the ground and, drooling gleefully, chopped off a thick chunk in a single snip, just below her neck. The local hairdresser had no other recourse than to cut it all. But Miriam refused to go to school for days. She tied a purple handkerchief around her head and wouldn’t listen to her mother and grandmother, who showed up with barrettes and multicolored scarves to try and come up with more modern hairdos. Nobody was going to calm her down with trinkets. It wasn’t until the next week that Miriam came to her conclusion about what had really happened. She told it to me with the same pride as in all her stories, while we drank bitter black tea in her dining room full of geishas and dragons. I focused on the swirl of hair at her neck, wanting to touch it with my fingertips—as if it were a scar or the halo of a statue—but it would have been difficult to get that close. Lost in a giant armchair, with her arms stretched across the armrests, she displayed her cropped hair with a new smile of satisfied divinity. This is how her story went: the same afternoon she had her run-in with Oscar, her brother Kazuo had stopped thinking about his cold feet and, for a moment, thought he heard a voice calling to him in Japanese. A few seconds later, an English grenade exploded in his trench. He quickly found that all of his comrades were dead. He frisked himself to make sure he was unscathed, then ran off in retreat. His hands were shaking, but he ran without panic. In his shirt pocket, just above his heart, he carried his sister’s barrette. Read Betina González’s “News of a Girl Lost at Sea,” also translated by Meghan Flaherty, from our October 2014 issue. Betina González is an Argentine fiction writer. She holds a Ph.D. from the University of Pittsburgh and an M.F.A. in bilingual creative writing from the University of Texas at El Paso. She teaches creative writing at the University of Buenos Aires, where she also works as a researcher on the subject of new narratives. In 2006, she was awarded the Clarín Award for Arte menor, her first book. Among the panelists was the Nobel laureate, José Saramago, who praised the novel a “work of major art.” That same year, the Argentine Endowment for the Arts awarded her a prize for her collection of short stories, Juegos de playa. She has also published several articles on literary criticism and Argentine culture and media history. In 2012, her second novel, Las poseídas, was awarded the Tusquets Prize, which has established her internationally as one of the most important new voices in Latin American literature. Meghan Flaherty holds an M.F.A. from Columbia University in nonfiction and literary translation. She writes memoir, translates poetry and prose from Spanish, and is currently working on a book-length personal history of Argentine tango. She was awarded an ALTA Travel Fellowship in 2013 for her work translating Betina González. Her poetry translations have appeared in Alchemy, and her essays and reviews in The Rumpus, Treehouse, Cactus Heart, The New Inquiry, and (in print) in the Iowa Review.